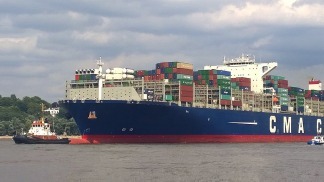 The report, which will be presented for approval next week at the Foreign Affairs Committee, and then approved at the Strasbourg plenary in September, emphasizes the European Union’s “strategic relationship” with Latin America as a priority, in a context of World change, erected among other factors by the protectionist positions of Donald Trump. 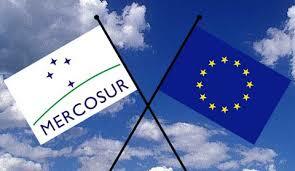 The free trade agreement between the European Union (EU) and Mercosur, which was announced this week will have its first political agreement by the end of the year, can be endorsed by the European Parliament in the first months of 2019, said MEP Javi López, author of the report that recommends giving priority to “the strategic relationship” with Latin America. “It will be the same as with the agreement signed yesterday by the EU with Japan, the political framework will be closed and then technical work will continue in small print and is expected to be approved during this term, which ends in May Of 2019, “Spanish socialist MEP Javi López told Télam in Madrid. López is the author and rapporteur of the report “Political Relations of the European Union with Latin America”, commissioned by the Committee on Foreign Affairs of the European Union, which represents the official position of the European Parliament on relations between the European Union and Latin America Latina. In turn, the Committee on Foreign Affairs has among its functions to approve the agreements signed by the community block. A consortium of 1,500 producers from 13 provinces exported food to 68 countries for US $ 292.2 million. Newsan Group, through its food marketing company Newsan Food, formed the consortium. The experience is in line with the one realized in the country by great players, like Arcor and Coca Cola, to acquire large quantities of production of regional economies. “We are looking for regional economies and producers who are eager to export and who do not find the marketing channel or need some working capital support to develop more production and increase volume,” Newsan Foods CEO Verónica Nohara told Télam , Who said that the consortium is “1,500 regional producers across the country, generating 4,250 jobs between direct and indirect, and exports to 68 countries.” Sales totaled US $ 292.2 million. The 1,500 producers are from regional economies of the provinces of Buenos Aires, Chubut, Cordoba, Corrientes, Entre Ríos, La Pampa, Mendoza, Misiones, Salta, San Luis, Santa Cruz, Santa Fe and Tierra del Fuego. The products that are exported are fish, honey, peanuts, plums, raisins, rice, beans, chickpeas, lentils, pisingallo maize and giblets vaccines. Acindar anticipated that its production and sales of steel will grow 10% this year. The main supplier of the country plans to increase sales by increasing demand for public works and also the recovery of industrial sectors. The production and sale of steel by Acindar, the country’s main supplier, will grow at least 10% this year, driven by higher demand for public works, but also by the recovery of different industrial sectors, Million tons. 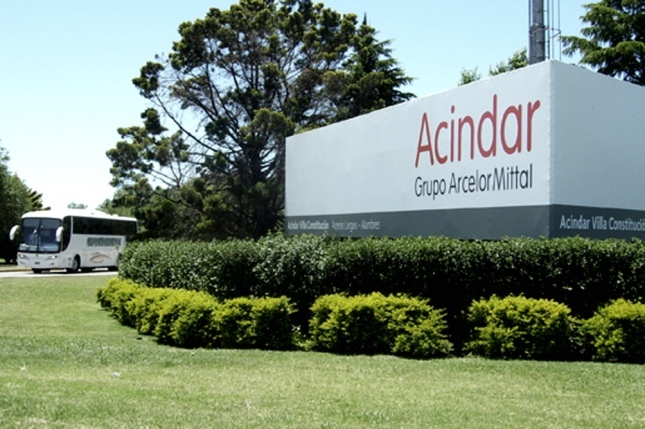 “We came from a rather complicated 2016 because it was the first year after a government transition that had its impact on Acindar’s sales levels, but today the indicators are recovering and the prospects are good in light of the reactivation of the Public works and infrastructure, “Facundo Velasco, Manager of Legal and Institutional Affairs at Acindar told Télam. In the year in which he celebrates his 75th anniversary, Velasco stressed that “forecasts have been accurate, and both production and sales in real terms have improved.” According to the Argentine Chamber of Steel, crude oil production in April was 367,400 tonnes, representing a growth of 15.1% over the same period of the previous year.